It’s official; candlelight is dramatic, atmospheric and so romantic. 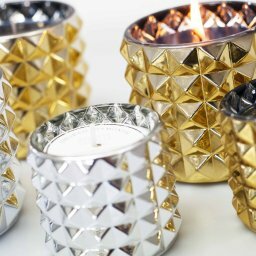 Church candles are a great way to dress any venue; whether you’re hosting in an art deco church or a rustic barn. We recommend building up little collections of different thicknesses and heights to highlight a particular feature that makes your venue special. Our church candles and church-beeswax candles are presented in a classic ivory shade, so it’s easy to match with whatever colour scheme you are planning for your wedding. 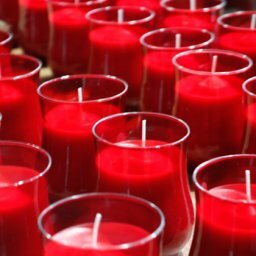 Our range of church candles are fabulous for weddings because of their lengthy burn-time, the largest being a 15 inch tall and 3 inch wide candle that burns for 185 hours. Your wedding venue will let you know what’s possible and safe within your space. We also have a wide variety of rustic dining candles to suit any colour theme. Styles of wedding centrepiece have changed so dramatically over the past 10 years or so. 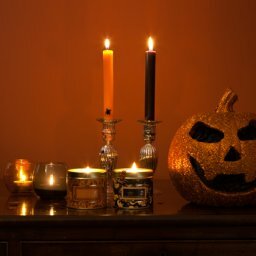 Traditional dining candles in candlestick holders and glass goldfish bowls filled with long-stem flowers are becoming outdated in favour of little tea lights, votive candles and smaller arrangements of flowers. It’s a really simple look to recreate without a florist. 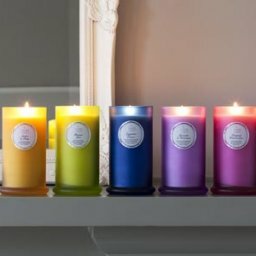 If you want to add an injection of colour to your arrangement, consider little scented jar candles or tin candles, either with coloured wax or colourful packaging. Favours can be a tricky thing to get right; you want to cater for so many different tastes, ages and interests, but you want to keep it simple and as cheap as possible. Choosing the right token gift can be a really nice addition to your guests experience when they sit down for the wedding breakfast. 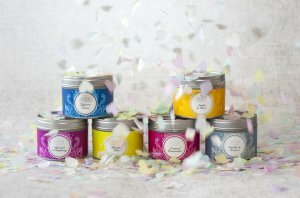 We think our small tin candles do the job brilliantly; they’re small enough to fit in a handbag, they travel well, they’re pretty and they come in a range of colours and scents. 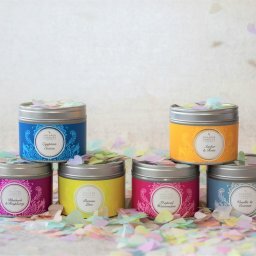 Try to match the fragrance to your choice of flowers or whichever scent you decide to use on the day so your guests will recall happy memories of your special day whenever they light their tin candle. 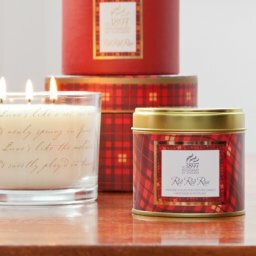 Or why not choose the perfect scent? 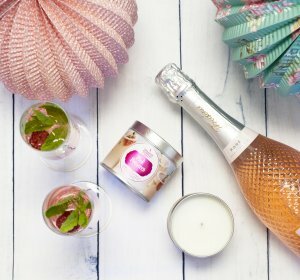 Our Pink Prosecco Tin Scented Candle is a popular choice with Bride’s because it has a beautiful scent and feels appropriately celebratory. Lots of people decide to give bunches of fresh flowers to the mothers of the bride and groom on the wedding day by way of thanks, but this can be a bit of a logistical nightmare, especially if your wedding is away from home. If florists’ arrangements are too costly for your budget, how do you get the arrangements delivered during the hectic run up to the big day? And will they stay fresh until the Mums get back home, potentially having to survive a long car journey? It can be an expensive thing to get wrong! 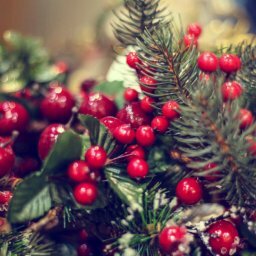 The alternative is to give a gift that will bring as much pleasure and definitely survive the chaos before and after the big day! 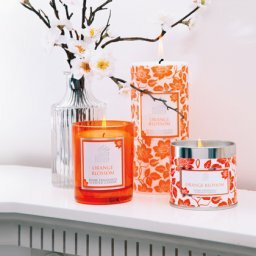 We suggest making a little gift box including a variety of candles from the scents in our Couture range. 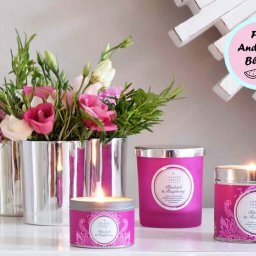 Again, why not match the candle scents to the fragrances your Mum will experience at the wedding, so every time she lights her candles, she’ll be reminded of her daughter’s special day. Fragrances aren’t usually high on many brides’ list of priorities, but we have a feeling that might start to change. 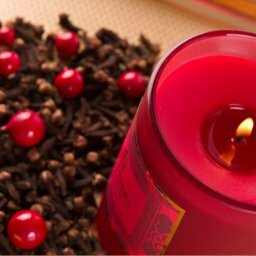 It’s a well-known fact that scents have the power to trigger strong emotions and memories. 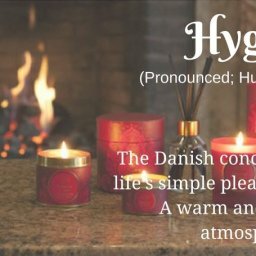 Imagine filling your venue with a signature scent, then every time you smell that same fragrance for years to come, you will be reminded of your happy day. 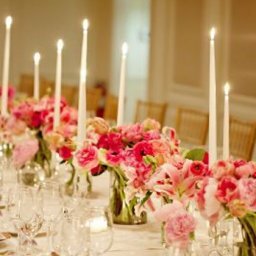 Consider adding certain fragrances to your venue through burning scented candles or scent diffusers for your guests to enjoy on the day, and there’s a strong chance they will think of your happy day if they smell that fragrance in the future. 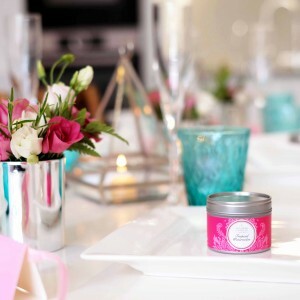 Your fragrance theme could extend to favours and gifts for bridesmaids and the wedding party. 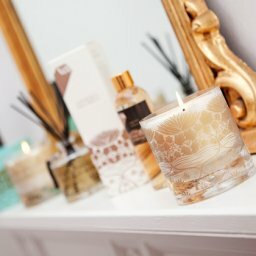 Our top choices are our Vanilla & Coconut fragrance range for a warm and delicate vibe, or our Amber Noir fragrance range in luxurious black wax; full of mystery and opulence. Good luck planning your big day!